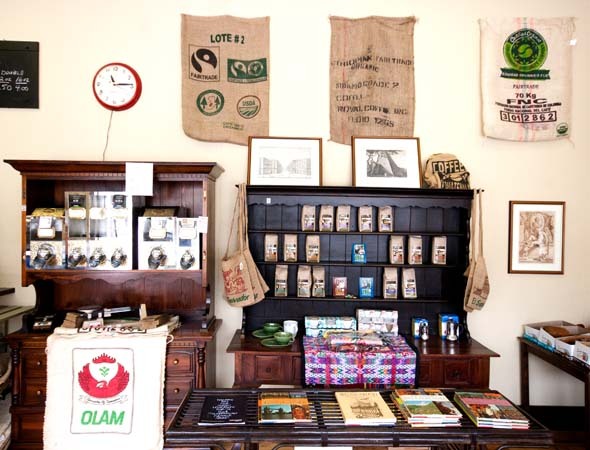 El Cafecito is one of those cafes you have to know about. 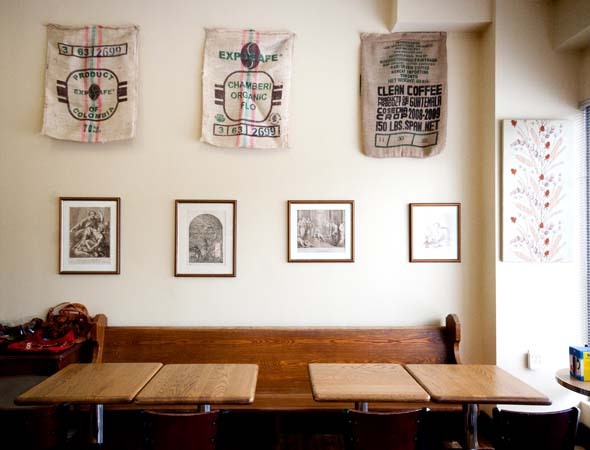 Inside, it's bright and spacious, with lots of seating, high ceilings, and chic vintage decor. But from the outside it's easily passed by, especially since it's on a one-way street off of Bloor with little in the way of signage. The cafe was empty when I walked in, except for owner John who doing his thing behind the bar. John has been in the industry for decades, previously owning restaurants on Baldwin and College. But he's always wanted to open something that was strictly coffee. "In the 80's," he tells me, as we slip into a table, "it just wasn't that viable." 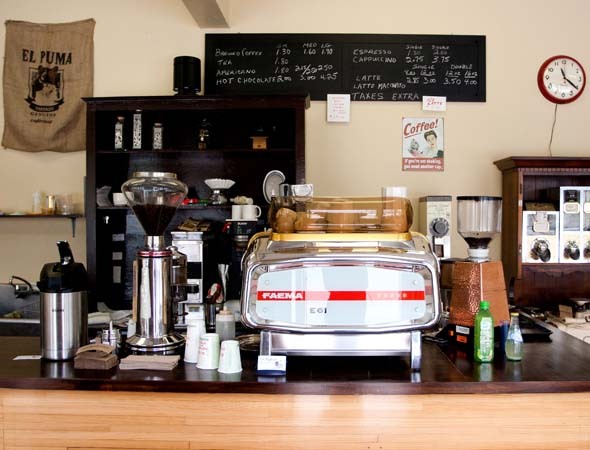 "Now, espresso bars seem to be popping up, and they're a lot more popular than they were. It's a lot less demanding for me also." 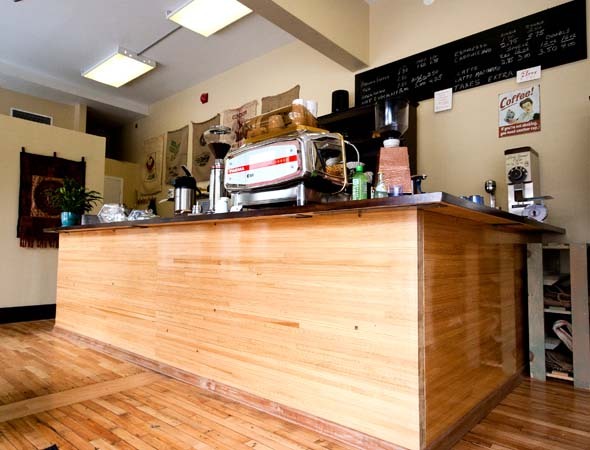 John found this space on Westmoreland Avenue, just north of Bloor between Dufferin and Ossington, and decided to make it the home for his long-desired cafe. Previously an office, he ripped up the carpet to expose the original wood floors, built a bar out of wood from old bowling alley lanes, and mixed and matched different pieces of vintage furniture. 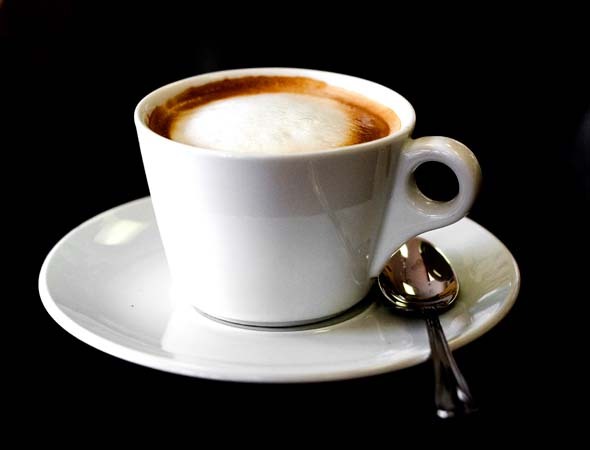 The name 'El Cafecito' actually came from a staffer at one of John's old restaurants. "At the restaurant and pizzeria," he says, "there was one guy--he was from Chile--and he would always say, 'Hey, let's go for a cafecito.' I liked the sound of it." It was simple, and it stuck. 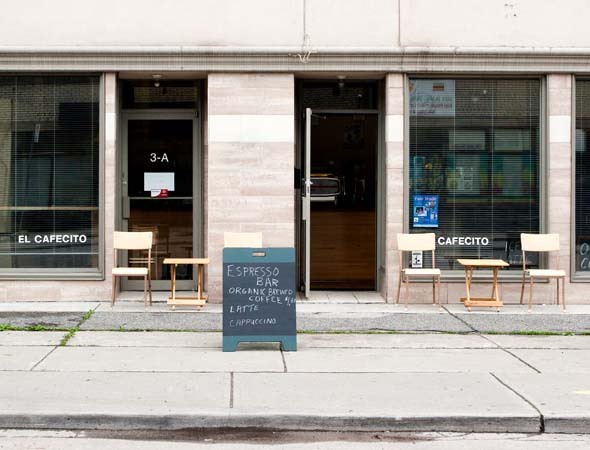 And that simplicity is echoed though El Cafecito's menu. It's not extravagant--espresso ($1.80), cappuccino ($2.75), and other drinks made with organic coffee. A few tea ($1.80) options including chai and green, baked goods from a few different sources, as well as empanadas ($3.50). That's it. "There's nothing more I really want to do," John says. "We'll see how it goes." John prepares me a latte ($2.85), as I explore some of his retail items, including a variety of fair trade bags from South America, as well as moccasins made in Quebec ($55). "They're nice, and I figured, 'Why not?'" John says. "And everyone loves moccasins." I move on from moccasins to my latte, which is simple and delicious. No fancy art, just a little bit of foam, and a nice smooth, creamy taste. No frills, but satisfying, and lots of room to enjoy. El Cafecito offers free WiFi and soymilk at no extra charge. It is open every day from 9-5.